Are you looking to buy the Branded Copper Handmade Jug? Well, this deal for you. Amazon is selling Frestol Copper Handmade Jug Serveware, Tableware Having Capacity 1700 ML at Rs 388. So, hurry up and buy it before the stock is out. 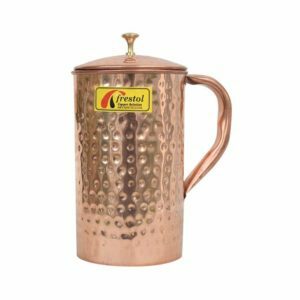 How to buy Frestol Copper Handmade Jug Serveware, Tableware Having Capacity 1700 ML at Rs 388?